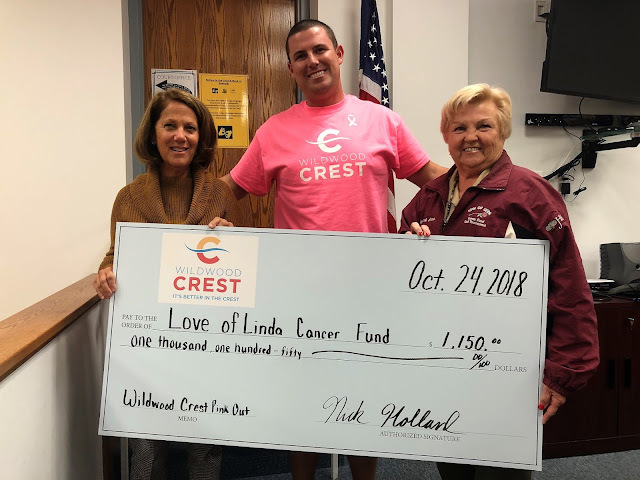 WILDWOOD CREST – A “Pink Out” fundraiser coordinated by the Borough of Wildwood Crest Wellness Committee has donated $1,150 to Love of Linda, a Cape May County non-profit organization that raises funds for families dealing with the effects of cancer. Wildwood Crest Wellness Committee coordinator Nick Holland of the Wildwood Crest Recreation Department spearheaded a T-shirt drive among borough employees in recognition of Breast Cancer Awareness Month. Employees made donations in exchange for a pink T-shirt that could be worn to work each Friday during the month of October. Holland presented the money collected through the effort to Terry Hall and Margaret Clark of the Love of Linda organization at the regular bimonthly meeting of the Borough of Wildwood Crest Board of Commissioners on Wednesday, Oct 24. 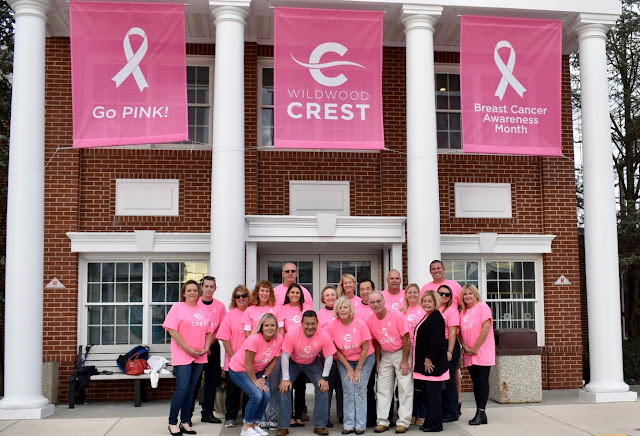 For more information about the “Pink Out” fundraiser, contact the Wildwood Crest Recreation Department at 609-523-0202.